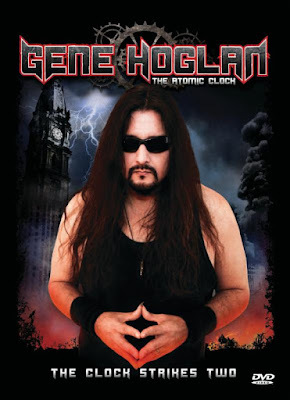 GENE HOGLAN's highly-anticipated second DVD "The Atomic Clock: The Clock Strikes Two" is due to be released on Feb. 3 and will feature the Clock himself breaking down some of his favorite beats, telling stories and playing along with tracks from several of his most legendary projects, including Strapping Young Lad, Testament and Death. 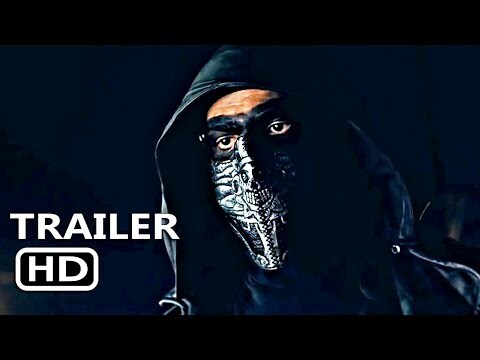 In advance of next week's release, Hoglan is revealing what many extreme music fans may consider the most anticipated playthrough from the DVD, Strapping Young Lad's "Skeksis" from their Billboard-charting 2005 release, Alien. "Devin [Townsend] and I wrote the tune in late summer, early fall of '04, at this shabby downtown Vancouver rehearsal space that kinda represented where we were both at mentally in our lives. I remember him mentioning that he'd love to have an 'Almighty PunchDrunk' (one of my all-time favorite bands whom I've also drummed for) feel and vibe to whatever was about to come out of us. To me, that meant to include, 'the PunchDrunk beat', which is this great, samba-esque, Latin-feel beat (that I am sure has a name, I'd love to know it) which PD proudly stole from the legendary Canadian band The Smalls. I'm sure you've all heard it a time or two," GENE HOGLAN said. "Dev and I played around the beat the whole song, getting closest to it in the chorus, then really sinking into it in the last minute or so, in the part I refer to as the "girl fight" part, because that's what it sounds like Dev is saying there. It is such a fun beat to play, and a real satisfying denouement to the song. A moment of crowning glory to a ruling tune. The version on the new DVD is a completely re-envisioned mix, where the vocals and samples are absent, really bringing out the rhythm guitars and basic tracks." Filmed in high definition on a dozen cameras, with studio-mastered audio, "The Atomic Clock: The Clock Strikes Two" offers a chance to see GENE HOGLAN play like never before. Though certainly inspirational for any level of musician, this DVD is not only for drummers. Gene's easygoing, approachable attitude is readily apparent as he happily tells the viewer stories from his career, chatting as if with old friends about days in the studio or on the road. An impressive roster of high-caliber musicians also weigh in over the course of the feature, offering stories about Gene and their experiences working with him. Interviews include Scott Ian and Frank Bello of Anthrax, 3 Inches of Blood/Revocation's Ash Pearson, Jason Bittner of Shadows Fall, Chuck Billy, Eric Peterson and Alex Skolnick of Testament and more. Testament: "Rise Up," "Native Blood"
Meldrum: "Walking Point," "A Toast To Romance"
Death: "Overactive Imagination," and "The Philosopher"
The Atomic Clock: The Clock Strikes Two provides a glimpse into the philosophies, techniques, and history of one of metal's most influential musicians of all time. Make sure to pre-order your limited edition copy here in Canada and here in North America/elsewhere worldwide. Fans who opted-in for the special pre-order fan packages when the DVD was first announced - don't worry - Gene has something special for you. Watch the original DVD teaser link here and check out the brand new DVD launch announcement here. "The Atomic Clock: The Clock Strikes Two" was recorded At The Warehouse Studios Vancouver, Canada. The DVD was edited by Leon Melas and directed by Rob Shallcross and Leon Melas, with co-direction from GENE HOGLAN. All audio was produced, engineered and mixed by Rob Shallcross with audio mastering from Greg Reely. 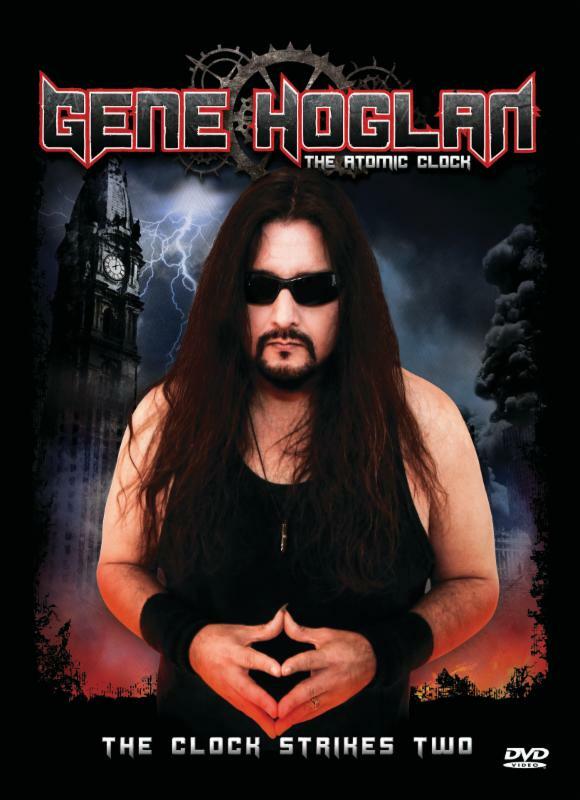 For more information on GENE HOGLAN, visit hoglanindustries.com/.